Hanes Comfort Soft® short-sleeved tagless T-shirts in white. 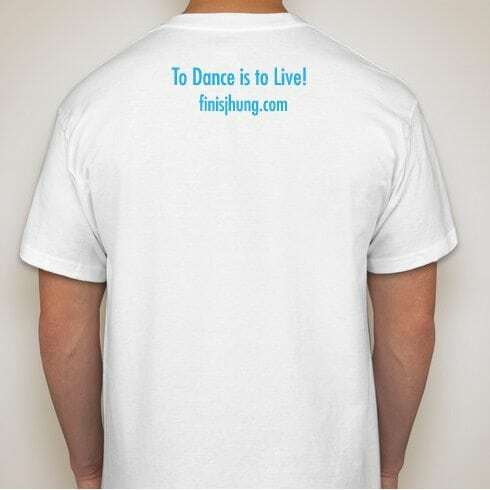 A classic T-shirt fit with Retro Finis artwork on the front and his famous “To Dance is to Live” tagline on the back. The shirt fits true to size. 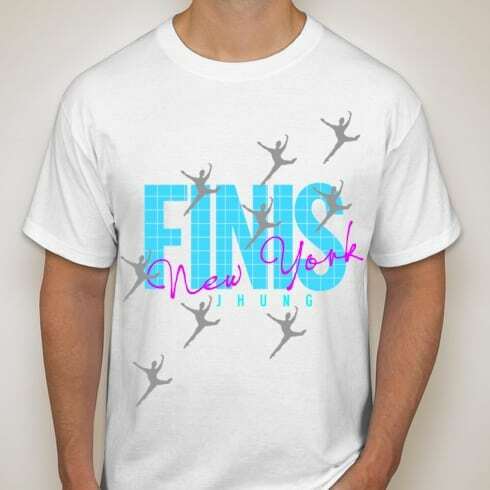 Shipping: Price includes $5 first class shipping per shirt.